The Rashid Behbutov State Musical Theatre became the venue for the Azerbaijan Open Dance Cup, which took place in Baku over the weekend. The event was organized by the Azerbaijani Youth Union and the Azerbaijan Dance Association and brought together many dance groups from across the country. During the six-hour competition, some 1,200 participants, aged 3 to 43, showed off their skills in a hip-hop performance, hip hop battle, folk dance, stylized folk dance, dances of the peoples of the world, and oriental style dancing. 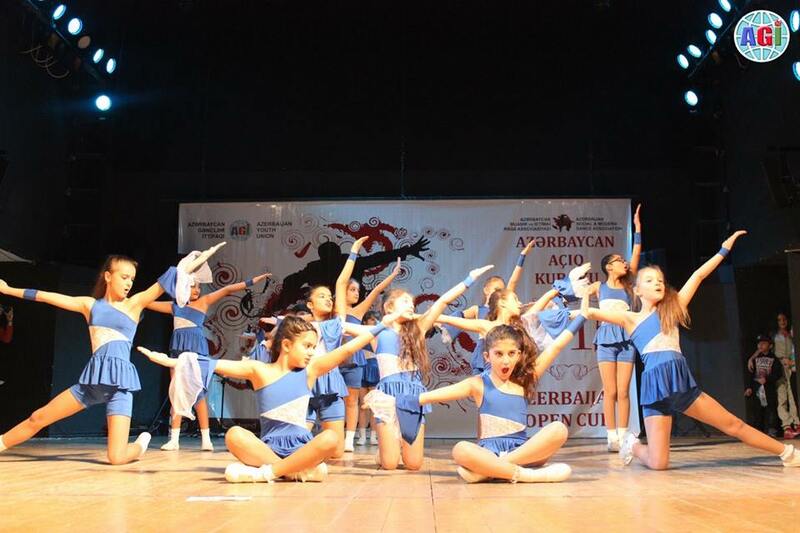 The group winners of the show were Jam SS, Ayselin, Natiq, Inci, Nejnost, Zirve, Naxısh, Buta, İnciler, and Sulh goyerchinleri. Among the soloists, Maga Abdullayev (Crazy Eyes), Svetlana Fadeyeva (Jam SS), and Sara Ismayilova (Jam SS) took the victory. Moreover, for the first time in the history of the competition, the organizers held a hip-hop battle for dancers in the children and baby show categories. The winner was eight-year-old talent Elvin Rzayev, while five-year-old Balabek Heydarov took second place. President of the Azerbaijan Dance Association Aziz Azizov congratulated the winners, participants, and their coaches. ”This is a major challenge for everyone. And victory is the best proof that they have done an excellent job. We, in turn, try to attract more attention to our competitions, develop young people's interest in dancing, and inspire a healthy competitive spirit and aspiration for self-improvement. And I think we have been successful,” he stated. Azizov also thanked the U.S. Embassy in Azerbaijan and Ferghani Aliyev and Amy Peterson for providing organizational support. The jury included Azerbaijan’s honored artists Rimma Mammadova and Sanan Huseynli, as well as Rena Aminova, Natavan Musayeva, Narmina Asadova, Aysel Huseynova, Andrey Bukas, and Emin Useynov. The next event will be an annual Azeri Dance Stars award, dedicated to the 25th anniversary of the Azerbaijani Youth Union, to be held at the Heydar Aliyev Palace. Winners of the prestigious award will be bands, dancers, and choreographers who have made significant achievements in the past year.